In the United States, one in 12 children has a speech, language, or swallowing impairment that requires treatment. Another 17.9 million U.S. adults suffer from speech troubles. Earning a bachelor’s degree in communicative disorders will train you to fulfill this growing healthcare demand. Although an undergraduate major isn’t sufficient for becoming a speech-language pathologist, it builds the foundation for master’s study. Bachelor’s programs in communicative disorders can also open doors to special education, gerontology, ASL interpreting, and vocational rehabilitation. Some graduates become speech-language pathologist assistants (SLPA) for a median annual salary of $44,625. Below we’ve listed the Top 10 Bachelor’s in Communicative Disorders Degree Programs to begin your speech science career. First, we surveyed the 268 baccalaureate-level options accredited by the American Speech-Language-Hearing Association (ASHA). We then narrowed down the universities using rankings for the U.S. News and World Report. We only focused on colleges placing within the nation’s Top 100 for Academic Excellence. Next, we reviewed each program’s communicative disorders curriculum for breadth and depth. Preference was given to bachelor’s degrees allowing for specializations. Universities had to offer experiential learning, such as studying abroad, practicum, or internships. We also noted each school’s average undergraduate tuition using the NCES College Navigator. Pursuing a bachelor’s degree in communicative disorders is usually the first step towards licensure for speech-language pathologists. One NSSHLA report declared that 93 percent of communicative disorders majors enroll in graduate school. This allied health degree covers the fundamental skills for diagnosing, treating, and preventing vocal difficulties before master’s admission. That’s excellent because the speech-language pathology field is expected to add 28,900 more jobs by 2024! Founded in 1831, New York University is one of the nation’s largest private, non-sectarian research institutions with over 57,200 students studying in Lower Manhattan. The U.S. News named New York University the 32nd Best National University and 21st Most Innovative School. The Steinhardt School offers a B.S. in Communicative Sciences and Disorders with American Speech-Language-Hearing Assocation (ASHA) accreditation. This full-time, 128-credit program includes weekly labs at NYU’s Langone Medical Center. Minors are available in linguistics, foreign languages, or American Sign Language. Many students within the Bachelor’s in Communicative Disorders Degree Program study abroad at the university’s 13 global sites. 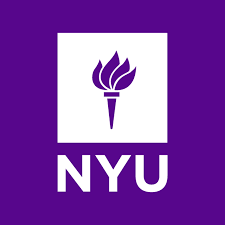 Learn more about New York University’s Bachelor’s in Communicative Disorders Degree Program here. 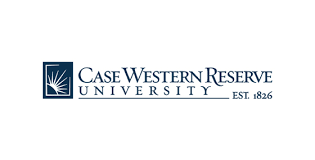 Located just five miles from downtown Cleveland, Ohio, Case Western Reserve University is a private, doctoral-granting RU/VH institution with over 10,200 students. Declared a “Big-Leaguer” in TIME magazine, Case is ranked the 37th Best National University by the U.S. News and World Report. In the College of Arts & Sciences, there’s an American Speech-Language-Hearing Association (ASHA) aligned Bachelor of Arts in Communication Sciences with a concentration in Communication Disorders. The 45-credit major includes courses in linguistics, psychology, American Sign Language, hearing science, and physiology. Seniors complete a clinical speech pathology practicum at the on-campus Cleveland Hearing and Speech Center. Learn more about Case Western Reserve University’s Bachelor’s in Communicative Disorders Degree Programs here. 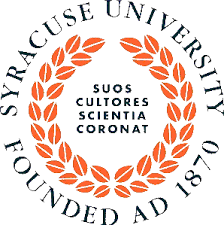 Endowed for $1.1 billion, Syracuse University is a private, non-sectarian institution with “very high research activity” and over 21,200 students on its Central New York campus. According to the U.S. News and World Report, Syracuse is the 61st Best National University and 45th Top Value. The College of Arts & Sciences grants a Bachelor of Science in Communication Sciences and Disorders. The 34-credit, American Speech-Language-Hearing (ASHA) approved major can be combined with a Neuroscience Integrated Learning track. Seniors receive clinical training at the Gebbie Clinic. Students can also join Syracuse’s National Student Speech Language Hearing Association (NSSLHA) chapter. Learn more about Syracuse University’s Bachelor’s in Communicative Disorders Degree Programs here. Under the Morrill Act, the University of Georgia is a selective public, land-grant research institution serving around 35,100 Bulldogs from Athens just an hour from Atlanta. University of Georgia tied for 61st Best National University and 21st Top Public School in the U.S. News and World Report survey. Within the National Council For Accreditation of Teach Education (NCATE) accredited College of Education, there’s a Bachelor of Science in Education with a Communication Sciences and Disorders specialization offered. This upper-division, 33-hour major prepares students for graduate studies in speech-language pathology. Students gain experience in the University of Georgia’s Speech and Hearing Clinic in Aderhold Hall. Learn more about the University of Georgia’s Bachelor’s in Communicative Disorders Degree Programs here. 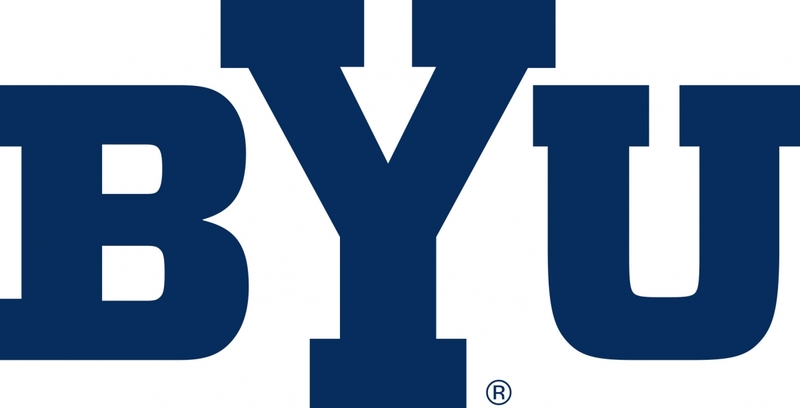 Operated by the Church of Jesus Christ of Latter-day Saints, Brigham Young University is a conservative, private research institution serving 29,600 students in Provo, Utah. According to the U.S. News and World Report, Brigham Young University is America’s 66th Best University and 16th Greatest Value. The McKay School of Education awards an American Speech-Language-Hearing Association accredited Bachelor’s in Science in Communication Disorders. This limited-enrollment program contains 51 major credits in speech science. Students benefit from clinical practicum at sites like American Fork Hospital and Primary Children’s Medical Center. Students also practice testing on the high-tech Virtual Audiometer. Learn more about Brigham Young University’s Bachelor’s in Communicative Disorders Degree Programs here. 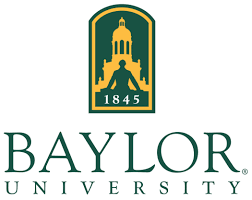 As Texas’ oldest private, Baptist research institution, Baylor University enrolls over 16,700 students in Waco between Austin and the Dallas-Fort Worth Metroplex. For 2016, Baylor was ranked as the 72nd Best National University by the U.S. News and World Report. The Robbins College of Health and Human Sciences grants an American Speech-Language-Hearing Association (ASHA) approved Bachelor of Science in Communication Sciences and Disorders. The 36-credit major can be specialized with a Deaf Education Concentration or American Sign Language Minor. Students learn clinical methods in Baylor’s Audiology Clinic. Communicative Speech Disorder majors also run a literacy intervention program called Camp Success. Learn more about Baylor University’s Bachelor’s in Communicative Disorders Degree Programs here. In the Five College Consortium, the University of Massachusetts – Amherst is a flagship public, land-grant institution educating over 29,200 from New England’s “Knowledge Corridor.” The U.S. News and World Report ranked the University of Massachusetts – Amherst as the country’s 75th Best National University. Within the School of Public Health and Health Sciences, there’s a Bachelor of Science in Communication Disorders. This American Speech-Language-Hearing Association aligned, 42-credit major lays the foundation for assessing audiological impairments. Clinical practicum is available in Amherst’s Center for Language, Speech, and Hearing. Students could also pursue the Cognitive Science Post-Baccalaureate Certificate to gain additional knowledge and skills. Learn more about the University of Massachusetts – Amherst’s Bachelor’s in Communicative Disorders Degree Programs here. 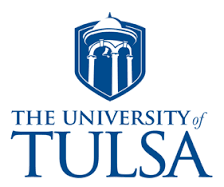 Affiliated with the Presbyterian Church, the University of Tulsa is a private, non-profit higher learning institution serving approximately 4,300 students from Oklahoma’s “Oil Capital.” Tulsa University is crowned the 86th Best National University by the U.S. News and World Report. With ASHA approval, the Oxley College of Health Sciences awards a Bachelor of Science in Communication Sciences and Disorders. The four-year, 120-credit curriculum can include a minor in deaf education or early intervention. TU’s Mary K. Chapman Speech and Hearing Clinic is also partnered with the Laureate Institute for Brain Research. Learn more about the University of Tulsa’s Bachelor’s in Communicative Disorders Degree Programs here. As a “Public Ivy,” the University of Vermont is the state’s flagship, land-grant research institution with over 11,800 students enrolled in Burlington. The U.S. News and World Report named Vermont the 89th Best University Nationally. Within the College of Nursing and Health Sciences, there’s a Bachelor of Science in Communication Sciences and Disorders available. The 120-credit curriculum follows ASHA guidelines for a Speech Language Pathology Assistant Track. Students benefit from audiology observations in UVM’s Eleanor M. Luse Center. Communicative Speech Disorder majors also study abroad in countries like Germany and Brazil. Learn more about the University of Vermont’s Bachelor’s in Communicative Disorders Degree Programs here. Standing in sunny Tallahassee, Florida State University is a public, space-grant and sea-grant research institution endowed for $624 million and enrolling over 41,700 students. The U.S. News and World Report regards Florida State University as America’s 96th Best University. The College of Communication & Information holds American Speech-Language-Hearing Association accreditation for a Bachelor of Science in Communication Science and Disorders. The 42-credit major explores the neurological bases for speech. Students can add a 12-credit Certificate in Developmental Disabilities. Applied practice is included within Florida State’s L.L. Schendel Speech and Hearing Clinic. Learn more about Florida State University’s Bachelor’s in Communicative Disorders Degree Programs here.